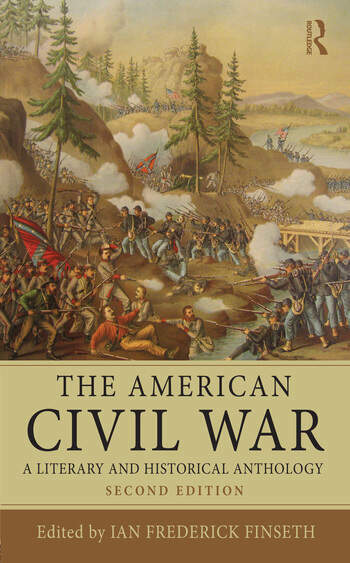 The American Civil War: A Literary and Historical Anthology brings together a wide variety of important writings from the Civil War and Reconstruction eras, including short fiction, poetry, public addresses, memoirs, and essays, accompanied by detailed annotations and concise introductions. With selections from Louisa May Alcott, Walt Whitman, Sidney Lanier, Abraham Lincoln, Frederick Douglass, Kate Chopin, and many more, Ian Finseth’s careful arrangement of texts remains an indispensable resource for readers who seek to understand the impact of the Civil War on the culture of the United States. The American Civil War reaffirms the complex role that literature, poetry, and non-fiction played in shaping how the conflict is remembered. To provide students with additional resources, the anthology is now accompanied by a companion website which you can find at [insert URL]. There you will find additional primary sources, a detailed timeline, and an extensive bibliography, among other materials.